The U.S. National Sled Hockey Team reached its fifth straight world championship gold medal game but fell to Canada, 4-1, to earn the silver medal at the 2017 Para Sled Hockey World Championship in Gangneung, South Korea. The tournament, which took between April 11-20, saw the U.S. complete a round-robin preliminary round with a perfect 6-0 record after registering wins over Sweden (9-0), Italy (9-1), Germany (9-0), Canada (2-1), Norway (6-0) and Korea (5-0). 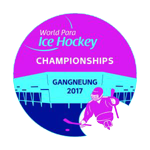 The United States, which entered the 2017 IPC Sled Hockey World Championship as defending champions and winners of six straight major international tournaments, automatically qualified itself for PyeongChang 2018 Paralympic Winter Games with a top-five finish.